Babywearing is something that I could not have survived without. Many people assume I do it because it's a part of my cultural background, but the truth is: Babywearing has only recently gained momentum and attention in India- where my family is from. (For the record: I was actually born in the same hospital that I gave birth to the girls in!) The fact of the matter is that wearing is more stigmatized over there (India) and, to be honest, I've actually been privately criticized by a family member who lives there for "causing harm" to my girls by wearing them. When I saw that someone in India had stepped up to the plate and was trying to normalize babywearing for parents by not only creating a variety of gorgeous products, but making it fun and creating jobs for fellow citizens, I couldn't have had a happier feeling in my heart. 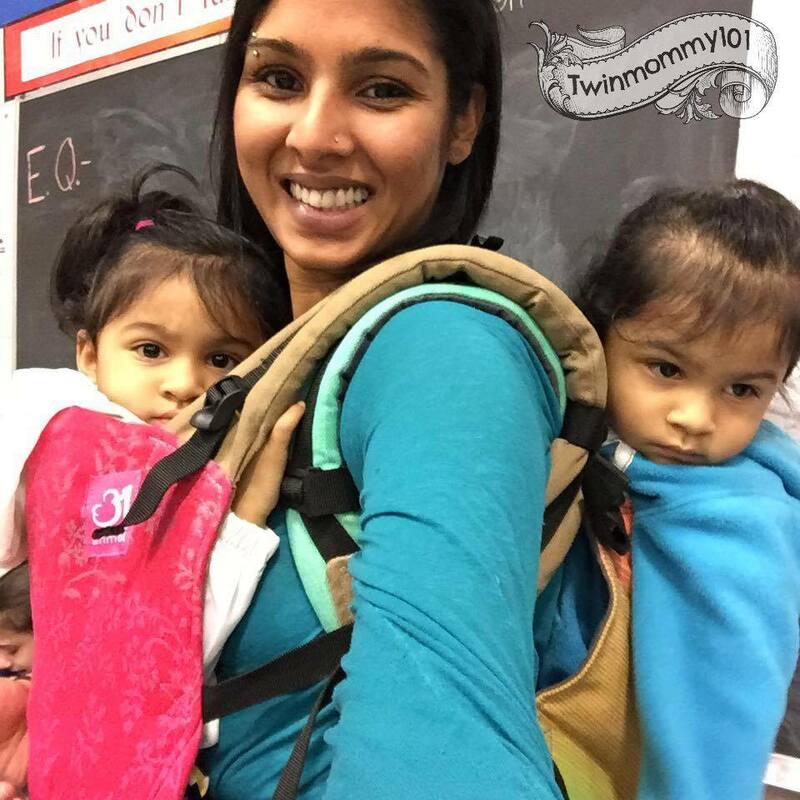 Every time I wear the girls in our Anmol Baby Carriers, I not only feel a sense of connectedness with my heritage, but I feel like I am connecting my children to it as well. Typically the division of socio-economic strata of society in India views babywearing as something only the labour class would do. But you know what? The straps of this carrier are nice and cushy, without being too marshmallow-y, giving me the support and comfort I need when wearing my 25 lbs (11.34 kg) girls. Even when tandem wearing two Anmol Baby Carriers together, I did not feel extra bulky in the shoulders like I thought I would when first inspecting them. The one (and pretty much only) thing that I will say I didn't like about the carrier is that the personal fit adjuster (PFA) has more webbing/strap to adjust than it had room for adjusting. Meaning that the PFA stopped extending about halfway through it's webbing, leaving a gap between the carrier strap and the webbing. (See photo below for a visual.) For me, it was not too big of a deal since I have more of a petite frame and didn't need the strap extended. However, it did make it a tad bit excessive to have extra webbing (the black adjusting strap) hanging down over the top of the panel of the carrier when, in reality, it served no purpose to begin with. Also, I didn't like the fact that it covered the logo on the top of my panel. 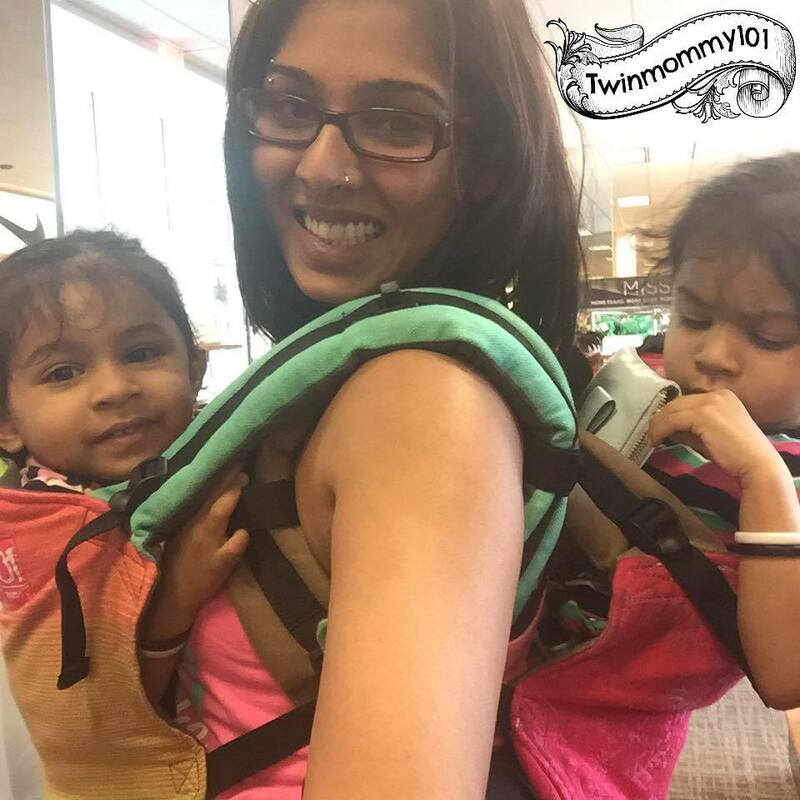 Click the photos below to read more babywearing reviews!